One of my former students sent me this note of yours. Nice! Another, beautiful, classic is Hedrick’s _Grapes of New York_. And, on phylloxera, you might want to see my _Dying on the Vine_, U. Calif. Press. Neither old nor rare, it’s still a good read, or so I’ve been told! I agree! Hedrick’s “Grapes of New York” is beautiful. It’s on view in our Ampelography rare book exhibition and I hope you’ll have a chance to visit. I learn so many interesting things on this site! 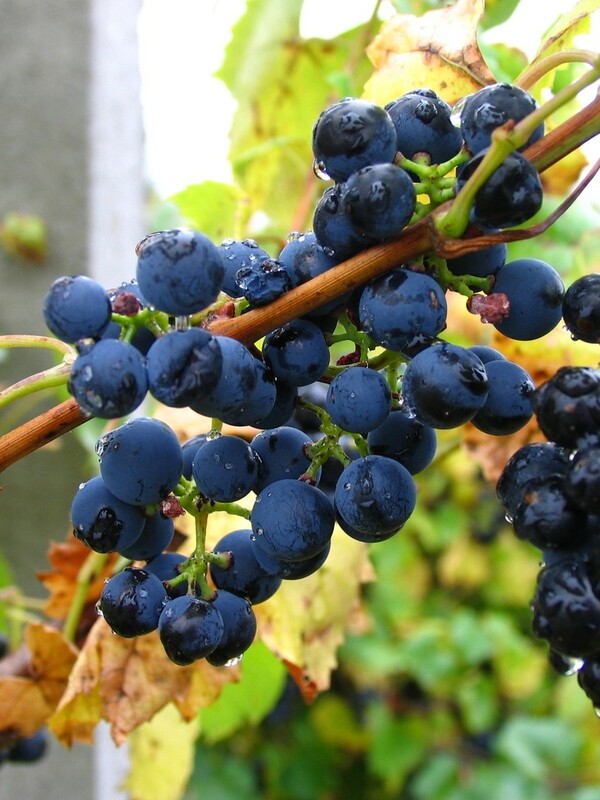 I understand your joy in finding a new word, like ampelography, the study of grape vines. I studied Latin for four years and find it so interesting to see the roots of words, especially medical and botanical categories. 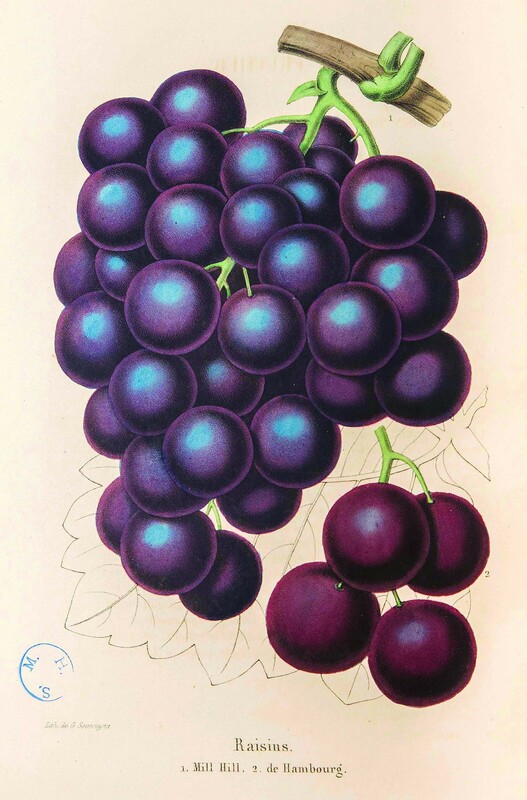 The lithograph of grapes by G. Severyns is very beautiful, too. The grape by lithographer G. Severyns is lovely! It’s from “La Belgique horticole : journal des jardins, des serres et des vergers” volume 1, plate 51, 1851.